STRIKING: Geelong's National Wool Museum will celebrate the life of famous interior designer Marion Hall Best while simultaneously exhibiting gold and silver from jewelry masters. One of the most influential interior designers in Australian history and 11 gold and silver masters will feature in two exhibitions coming to Geelong next week. Marion Hall Best: Interiors arrives at the National Wool Museum direct from Sydney next Friday to celebrate the designer’s prolific career. Best was an electrifying and avant-garde artist, according to exhibition curator Michael Lech. 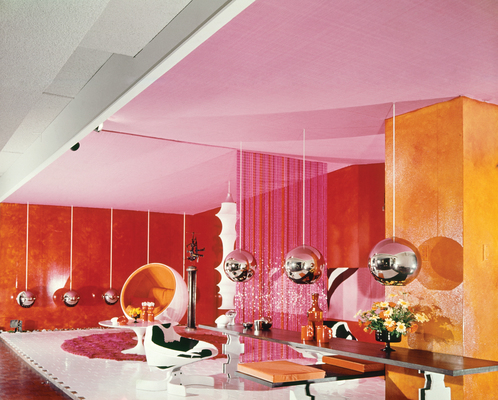 “Marion Hall Best had a love of colour and an uncanny ability to use it to transform a room,” he said. Best’s interior decorating schemes were unashamedly modern – with her interior decorating style vibrating with colour through her signature glazed painted finishes on walls and ceilings. Her work appeared in magazines and newspapers, exhibition display rooms and in her two shops in Sydney between 1939 and 1974. Best drew inspiration from the modernist movement and the colour theory of artists during the interwar years. She introduced international modernism to the Australian market through importing furniture and furnishings from all over the world. Masters: Art of the Precious Metal Object opens the same day, featuring more than 60 pieces from Australia’s goldsmiths, silversmiths and enamel artists. National Wool Museum director Padraic Fisher and exhibition artist Philip Noakes will open the exhibition with a lunch and 30-minute tour next Friday. The exhibition features the work of Kate Case, Joungmee Do, William Griffiths, Daehoon Kang, Helen Aitken-Kuhnan, Johannes Kuhnen, Leslie Mathews, Karl Millard, Debbie Sheezel, and Christopher Sherwin. Award winning Geelong-based gold and silversmith, Victoria Edgar will guest curate the exhibition.